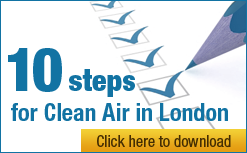 The Licensed Taxi Drivers Association (LTDA) and Clean Air in London (CAL) invite the Mayor to commit to an ‘Eight point transformation package’ for the taxi and private hire industry in London for the benefit of current and future generations of Londoners. Require electric or plug-in petrol electric hybrids with a minimum daily range of 40 miles for all newly licensed taxis by no later than 1 January 2018. Consider tyre and brake wear standards. Require electric or plug-in petrol electric hybrids with a minimum daily range of 40 miles for all newly licensed private hire vehicles (PHVs) with immediate effect (because many such vehicles are available to purchase today). Consider tyre and brake wear standards. Establish a network of 500 rapid charge points in Greater London by no later than 1 January 2018 for the sole use of taxis with a geographic focus on inner London and air pollution hotspots to encourage visits to them. These must offer at least an 80% charge within 30-40 minutes at modest or no cost to drivers i.e. not two hours. If this number proves more than necessary for the taxi industry after 12 or 24 months some might then be made available to the general public. Scrap the 15 year and proposed 10 year age limit requirements on newly licensed taxis with immediate effect. Scrap the 25 foot turning circle requirement from the ‘Conditions of fitness’ for taxis with immediate effect. Keep the accessibility requirement and other Public Carriage Office requirements. Confirm that no state aid hurdles restrict funding below. Establish a fund totalling £150 million offering with immediate effect one-off financial grants of the greater of £10,000 or 100% of the VAT due on the purchase price of a new taxi that meets the requirements above for each of first 15,000 fully compliant taxis purchased. This would be on top of the £5,000 government grant already available for electric vehicles (irrespective of the number of taxi providers). 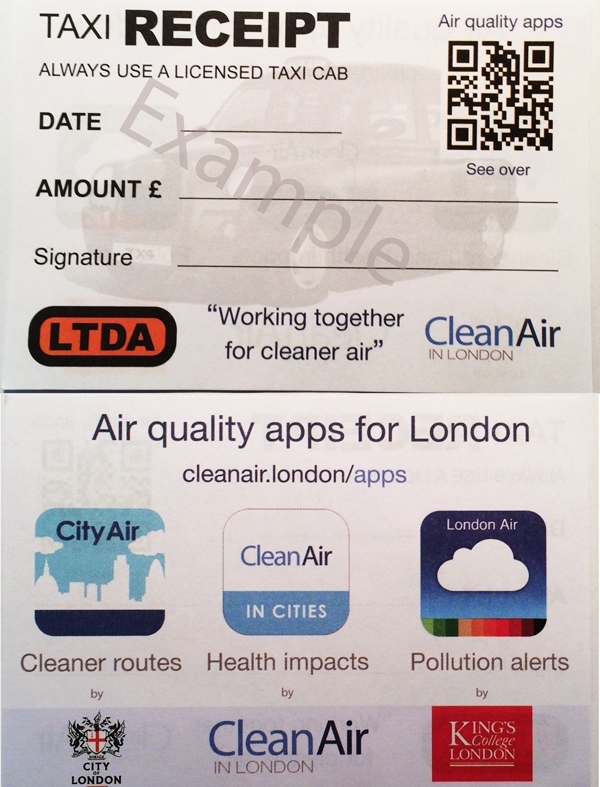 Undertake never to allow geo-fencing near air pollution monitors, which are used to warn people of smog episodes and report legal breaches, whereby taxis or PHV’s would switch from fossil fuel tailpipe emissions to electric mode near those locations. Deliver new Vehicle Excise Duty bands and Benefits-in-kind taxation, if necessary initially just for new and used taxis and PHVs, based on the total sum of real world tailpipe emissions (grams per kilometre) of carbon dioxide (CO2), fine particles (PM5) and nitrogen dioxide (NO2). These changes should be tax neutral overall. Exhaust emissions must be independently certified. The ‘Eight point transformation package’ is not an a la carte menu from which the Mayor can pick and choose. The LTDA and CAL have agreed this list as a ‘total package’. “After nearly seven years as Mayor, Boris Johnson can no longer blame others for the state of the taxi industry and the 30% of particle emissions he estimates it produces in central London. “Few people outside the taxi industry realise that the Mayor’s strict Public Carriage Office requirements determine which vehicle(s) a taxi driver can buy and/or drive to do his or her job. Today, this means drivers must buy one of two large, relatively unaffordable diesel vehicles to compete against Private Hire Vehicles purchased at a fraction of that cost. The Mayor should turn an onerous obligation into a mechanism for transformation. “We urge the Mayor to accept this package and put it in place before he leaves office. Candidates in the 2016 Mayor election must commit to keep and build on it.